The Ivorian has been on loan from Lombardia rivals Atalanta since summer 2017, with Milan expected to pay €20m this summer to make it a permanent move. 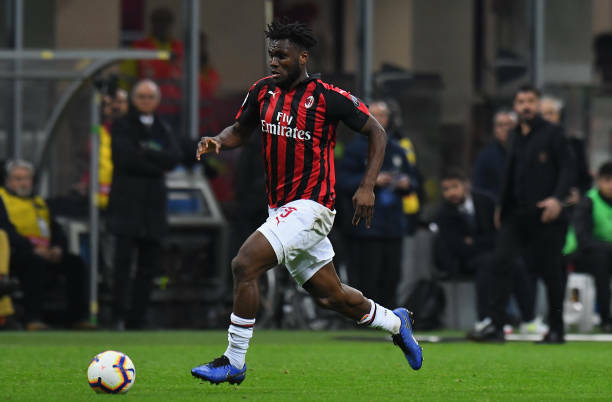 Calciomercato.com provide an update on Kessie’s situation and imply that his future with the Rossoneri is far from certain. They suggest that question marks have been raised over the midfielder’s form, and that an offer of €40million could tempt them into instantly selling this summer. Kessie was also involved in a spat with Lucas Biglia on the bench during Sunday’s defeat to Inter, something coach Gennaro Gattuso did not take well. Ligue 1 giants Paris Saint-Germain have been linked with a move for the 24-year-old, as have Premier League trio Arsenal, Chelsea and Spurs.